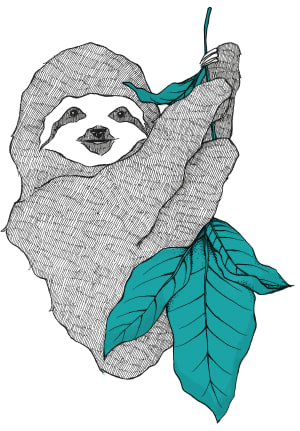 Welcome to my first post! 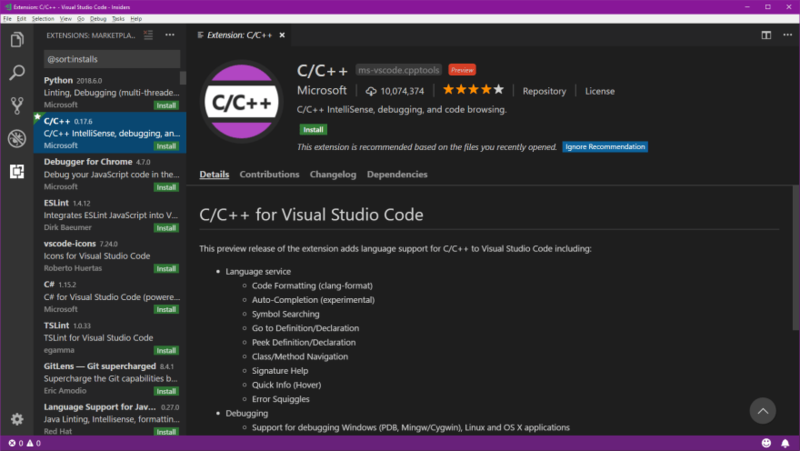 I will be showing you how I develop C++ using Visual Studio Code along with the C++ and Easy C++ Projects extensions. Click the download button and wait a few seconds for the download to start. 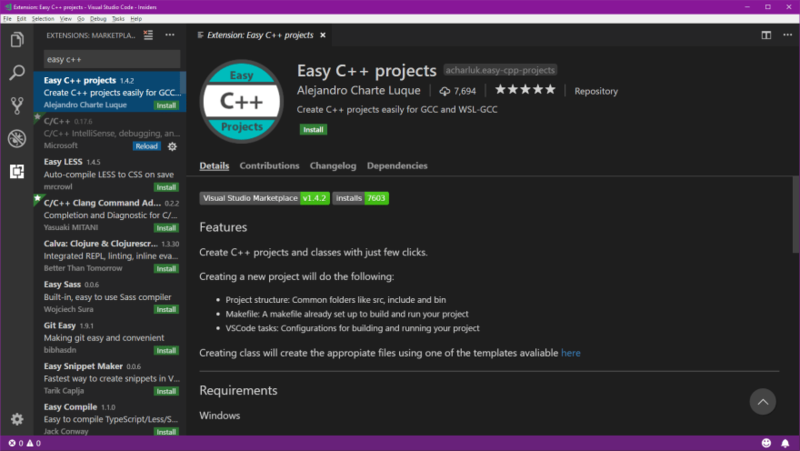 Then we will search for "easy c++" and then install the extension called "Easy C++ Projects"
Good job! Now we have an environment for depeloping our first C++ project! 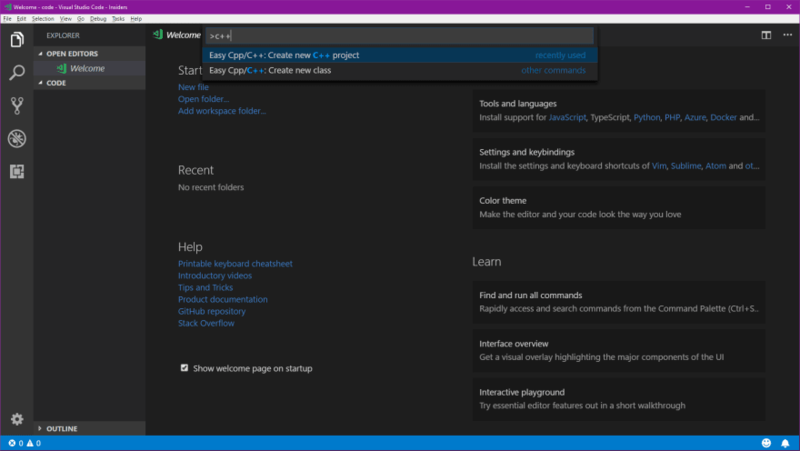 Creating our first C++ project with Visual Studio Code! Create a new folder and press "Select folder", the dialog will close and the window will reload and open the folder we have created. 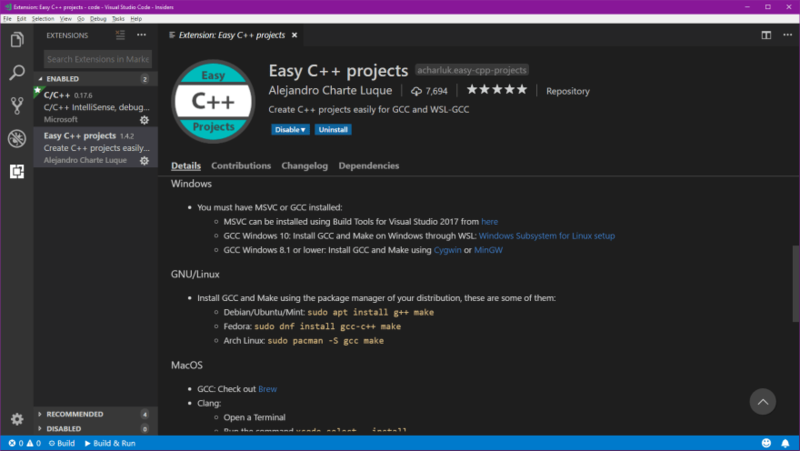 Now we will be asked what compiler we want to use, look the Easy C++ extension page for information on how to setup a compiler for your operating system. I will use Windows Subsystem for Linux. To test that the project works press the Build & Run button on the status bar, a terminal will open and it will compile and execute our program for the first time! I´m a complete beginner at coding and is looking for a nice and simple IDE to use, I´m currently using ms visual studio but i want to find a more lightweight IDE for storage reasons. 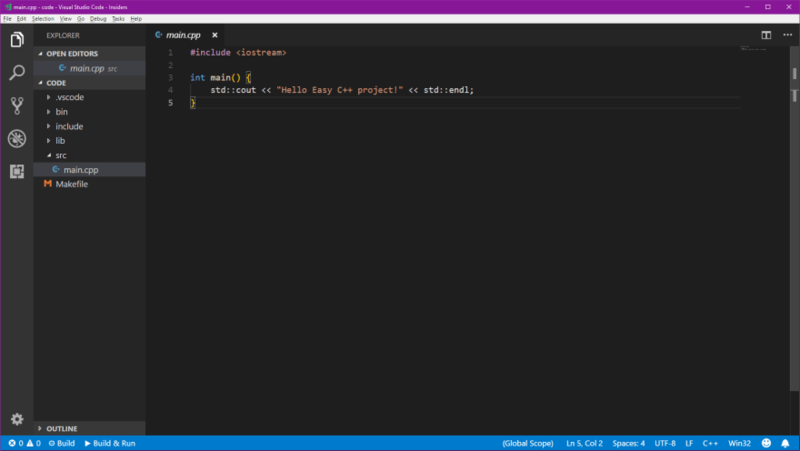 I tried vscode a bit, i managed to install a compiler but then all of a sudden i needed to edit json files and such things and i have no idea how to do that. I looked at youtube videos but learning all that AND c++ was too much information at once. I´m learning to program in c++ at the moment and will be moving on to c# in a few weeks, does this method make it easier to compile and debug projects? 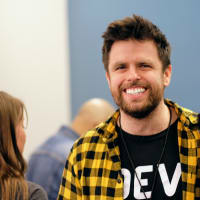 or is there another IDE you can recommend? 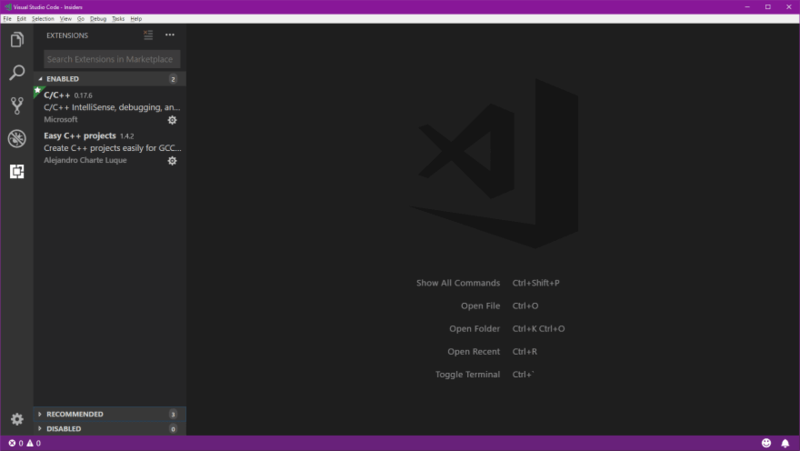 If you know how to install your compiler it is much faster to develop with VSCode and this extension imo, it has intellisense and automatic project creation! 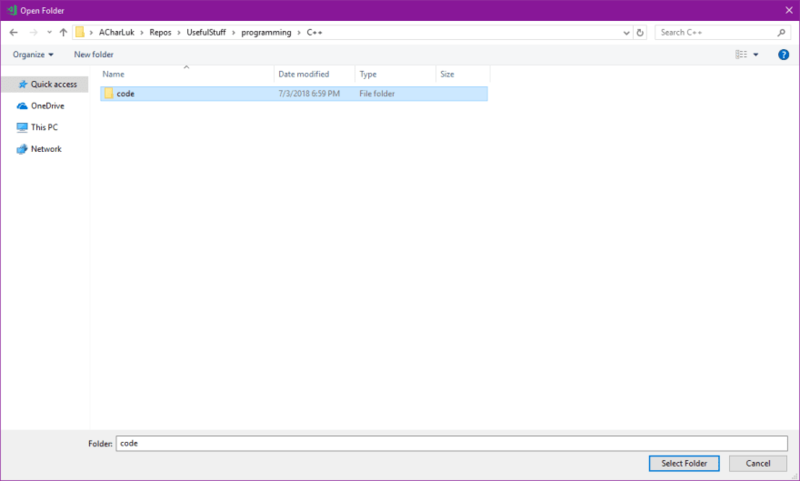 I've managed to install the compiler but when it comes to configuring .json files and such things I'm lost. 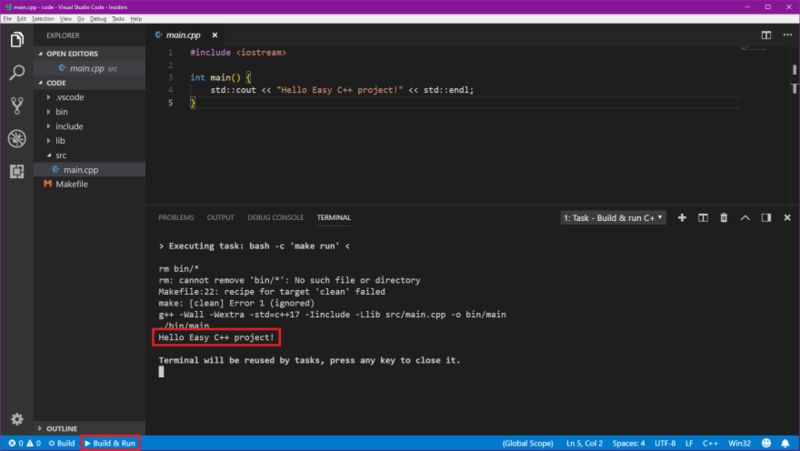 If you create the project using Easy C++ you don't need to set up any json file yourself, you press F1, search for Easy C++ create new project and it will set everything up. A couple of buttons will show up at the bottom bar for building and running the project. Great post! I was looking for a substitute for eclipse-cdt. 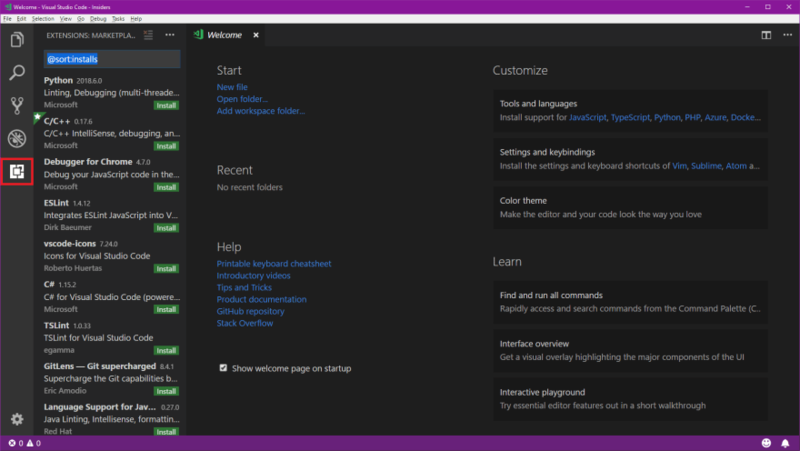 Do you think vscode can be a good comperitor to eclipse? I've used both and personally prefer VS Code. 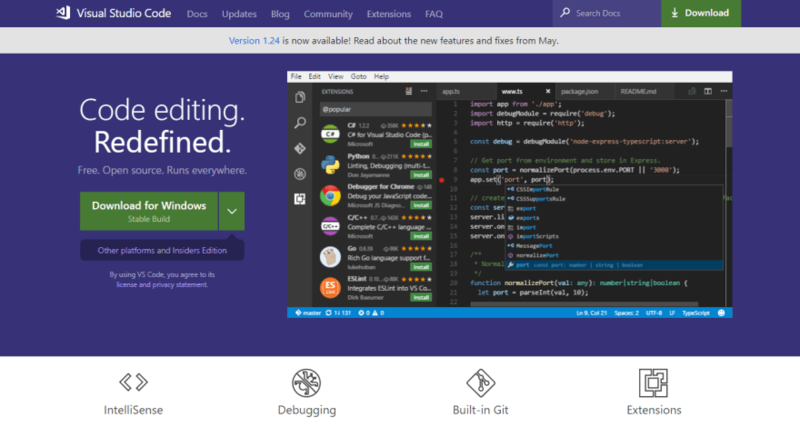 I was an Eclipse user and never went back when I changed to VS Code! I can't seem to figure out why I keep getting the following error when trying to run just the "hello world" project Easy C++ makes. Terminal will be reused by tasks, press any key to close it." 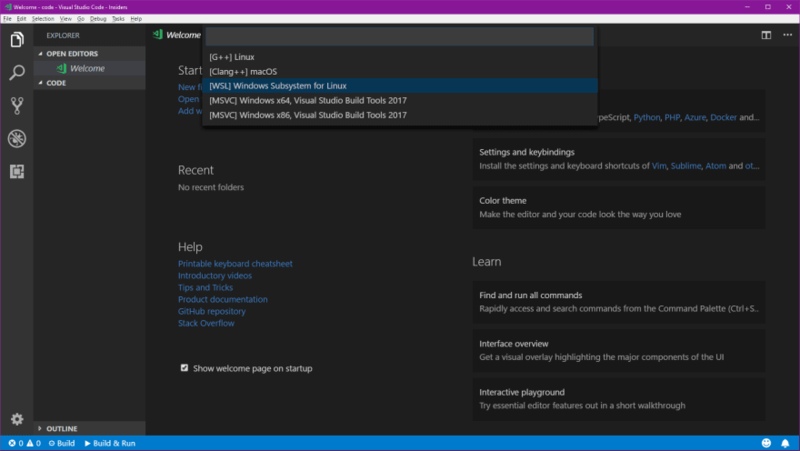 I was wondering if its is possible to debug in VS code by using the WSL (with g++ or gcc install) ?